The latest news, trends and all things social! How do you measure the ROI and effectiveness of your Influencer Marketing campaign?! 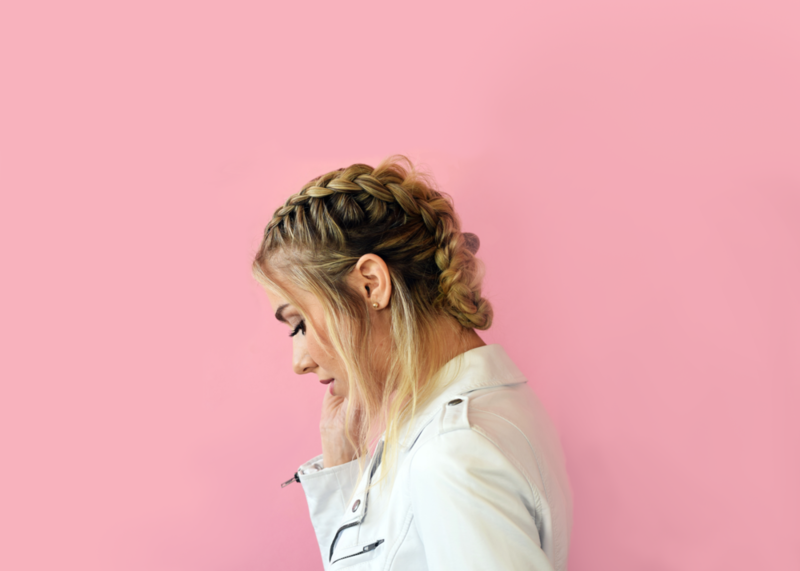 It’s safe to say that Influencer Marketing has found its place within the marketing mix, it’s not going anywhere soon and has become a powerful tool for brands in today’s age of social media. Many of the most iconic brands in recent times have come to the fore with an all-in approach to Influencer Marketing, e.g. Gymshark, which is now one of the fastest growing businesses globally. However, with anything new making its way in the world, there are questions and scepticism around it, especially if you’re doing it wrong. So, how do you measure the effectiveness and the ROI of Influencer Marketing, what metrics should you be looking at? Today, we will answer your question and show you all! Firstly, when any brand is looking to commit to spending even $1 in any form of marketing, we need to look at the goals of the campaign and the potential returns. We always ask our clients three key questions - What are you trying to achieve? Who are you trying to target? And, what are your campaign objectives? We reverse engineer from the agreed outcome to make informed decisions about which influencers and platforms best capture the target audience’s attention to develop long-lasting engagement and business impact. Now, let’s talk about the goals and how you can measure them. Many will see brand awareness as a given with any marketing activity, let alone influencer marketing. However, to be seen and wanted by your target audience is one of the main goals of brands. Even if you’re working with just one micro-influencer with a few thousand followers, you’ll want to know how many eyeballs have seen your brand or been exposed to your brand. The metrics to look at here, cover total reach and impressions. How many times a post has appeared on people’s timelines and how many unique impressions there was. Engagement goes one step further than brand awareness, here we look at the audience that how they have actively engaged (link clicks, left a like, a comment, dislike, shares, followed your brand etc) on the content for the particular campaign. To look at the effectiveness of the engagement, you need to look at the influencers previous engagement rate and how the campaign compares. Higher engagement rate (likes, comments, shares, link clicks etc) indicates the audience enjoyed the content and appreciated the campaign. The next logical step would be to work with the influencer(s) again to continue building your relationship with them and their audience. Lower engagement rate (low likes, high dislikes, low views etc) will indicate that there was something wrong with the campaign. Perhaps the wrong influencer was selected, the content was poorly put together or there wasn’t a particularly good audience fit. Whether you’re trying to shift perception, provoke a reaction or test the waters, influencer marketing is a great way to understand audience’s sentiment towards your brand, products or campaign. There are numerous ways to look at the sentiment, either through comments in videos or pictures (what people are saying positive, negative, neutral? ), the like to dislike ratio, amount of web traffic or another way is through polls on influencers stories on Instagram for example. If you’re a watch brand and you have a dilemma about which colour watch to produce, you could simply run a poll on a few influencers stories that hit your target audience demographics, you’ll see results almost instantly. Through analysing the sentiment you’ll be able to see which social platforms react best to certain pieces of content, enabling you as a brand to prioritise your marketing spend towards those platforms. Everyone wants to sell more, let’s face it, when you market your brand or service, the hope is that the audience will buy or use it. Influencer Marketing is a great way to increase sales or conversions and there are many ways to track the success. However, before beginning the campaign understand your sales figures for a few months previous and benchmark against these figures. Are you selling more with or without the chosen influencers? If you’re a beauty brand, partnering with influencers to increase sales of a product, you can track sales through tracking links and discount codes, unique to each influencer you’re working with. By ensuring each link and code is unique, not only can you see day to day analysis and whether certain offers work best on certain days, but you can figure out influencer conversions. Which influencers are performing best and converting more of their audience to sales vs ones that aren’t performing well and have very little actual influence over their audience. If you’re a mobile gaming company and your goal is to increase downloads using influencers, you can then track this through clicks on trackable links and then downloads of the game. Through this data, you can see the conversion metrics as before and you’ll be able to prioritise your top performing influencers for further marketing. Influencer marketing is an incredibly powerful marketing tool if you have a concrete strategy in place (please see our previous blog for tips on this) and you know what you’re looking to achieve or measure. The above metrics will allow you to put together an Influencer Marketing campaign with confidence and understand the true power of the campaign performance. Don't forget to follow her on Instagram here! I am just a normal girl who had to take it from the scratch. I started with no following at all and no family background in blogging. It was tough in the beginning to build followers , to create content my followers would like but gradually it all started to fall in place. I started to build followers slowly and steadily. I was an admin for a shout-out page and when I used to look at the shout outs it kind of hit me that I too can start working in this field. There were many bloggers who asked for shout outs and that's when I came to know about blogging in general. Yes, as of now blogging is something I so full time as it really asks for long hours of work. We hardly have time for anything once we get into this line. The shoots take up a lot of time and then there is a lot of editing. It takes a lot to stand where we are standing right now. I am a fashion blogger. I recreate fashion looks which is quite liked by my followers. Small things that help me connect better with my audience also are a great help. It's a vast field for anyone these day. With the growing market the influencers have a great chance to excel in whatever expect they want to. As a marketing tool it's a great platform to advertise. In the beginning I didn't know I would get to earn money but gradually I started to make some amount out of it. It's not huge but I am sure soon it will be good enough. What brands have you worked with so far? So far I have worked with Myntra, All about you by Deepika Padokone, Speedo, Daniel Wellington, Namzish, Oppo, Cutie, Dr. Tvacha, Rajkumari Fashions, Unlimited Store, Global desi, Stalk buy love and so many more to count. In the coming 12 months the influencer market is going to evolve at a rapid fast speed. More and more people are becoming aware. Due to social media the market is going upscale every moment. People are beginning to learn it's importance. When I stared the influencer market wasn't that huge but slowly the market has turned out to be growing very fast all thanks to the social media. It's a nice scale To help earn followers . It's a great marketing platform to advertise for brands. There are so many influencers in the market that it has become difficult for them to know who is genuinely working hard and who is earning followers by some other means. Though the brands are doing a great job by targeting more and more influencers and giving more people a chance. Yes, there are so many brands that are doing a great work with influencer. Both benefit each other in some way or the other. These collaborations help both the brand and the influencer. People become more interested in purchasing the stuff that we wear and it helps the brand increase their sales. Yes, there are many softwares that help me in creating content. Not all pictures can be uploaded without editing and no video can be uploaded without proper clip editing. To be honest it's quite a task. Once you become famous it becomes really difficult to manage the two. Your personal life no longer remains personal and the people become interested in knowing you better. For that you have to share many details online which you might not want to. Blogging leaves us with no time and it's really hard to have a personal life. People get attracted to your profile when you share personal knowledge with them. Honestly it takes a lot be a blogger. There is no doubt in this one. The influencer that inspires me the most is Santoshi Shetty. Surely Nike and Addidas and so many more brands as such. The life of a blogger is like an open book. We have nothing to hide from the audience. One thing that people don't know about me as a person is that I don't like putting on makeup but our job profile we need to put it on and there is no other feeling than getting off makeup after you are done with a shoot. I am also a crazy, fun loving, person. My favourite platform is instagram as it gives more opportunities Tu us bloggers. It helps us build more audience. In the the near future I want myself to have a bright future in blogging as well as I want to try my hand at acting. These two things are something I want in life and as an influencer I want myself to be a well known blogger. I hope I will be able to manage the two simultaneously. Instagram is currently testing a feature that identifies users who take screenshots of public Instagram Stories. Now, we're all partial to stalking, screenshotting content and posting it in WhatsApp groups to laugh at...however, next time you take a screenshot or screen recording, the person who posted the story will be able to see it. There was significant uproar on Instagram when some users detected the new feature. People even indicated they had switched from Snapchat to Instagram because they wanted to get away from screenshotting alerts. Instagram is likely testing how people respond to the new notices and may decide to never rollout the feature to all users, or perhaps change its behaviour. In the meantime, be careful and watch those trigger happy fingers. CHRISTINE TRAN - "INSTAGRAM IS A PLATFORM THAT ALLOWS ME TO SHARE MY CREATIVITY THROUGH IMAGES"
Today we caught up with Christine Tran, a social media influencer, based in San Francisco. Christine creates content around travel, lifestyle, fashion and many more, she has over 180K followers on Instagram. I mostly create travel & lifestyle content. I travel constantly to new destinations, cities to capture images to help inspire others to travel to that destination. I always incorporate fashion brands in my images and share products I enjoy using and share it with my audience. Instagram - I love the community it provides. Connecting with my audience where I’m able to share my experience and inspire others to travel to new destinations they never thought of visiting, trying new products, clothing, food, etc. Instagram is a platform that allows me to share my creativity through images. I post daily on Instagram and every other week on my blog. I focus on travel related content which my audience enjoys the most. Within 6 months I started to see my growth on Instagram take off and people were following my journey. I gained 100k followers in exactly one year. Going to unique and different travel destinations that most people don’t typically go to can make any image stand out. Keeping a consistent editing style is key to making any content stand out. When I’m traveling, the days are long and busy with early mornings for sunrise shots and photo shoots throughout the day. When I’m not traveling and taking images most of my days is catching up on emails, writing blog posts, editing photos and occasionally meeting up with friends for lunch. Of course! That’s why I love the Instagram community, I’ve met so many amazing friends! I really admire https://www.instagram.com/taramilktea/ Her images are always so stunning and very unique! I love helping others and I hope I’m able to use my platform to help others who are inspired to do what I currently do. Inspiration in finding new ideas, places, restaurants, products, and fitness inspiration. There are so many ways brands are working with influencers. From collaborating on social posts to build awareness on the brand, video/photo content for brands own marketing purposes and to help increase sales. I mostly only use lightroom for desktop to edit my photos and occasionally use apps like VSCO or snapseed. I use UNUM to help plan my feed. This is the first time I’ve ever used my drone and it was not easy! I’ve realized how hard it is to actually use a drone and I’m so proud of myself for being able to learn how to use it and take an awesome image for the first time. It’s continuously growing but I think a lot more brands are now starting work on long term projects with influencers. I can see videos becoming a high demand in the next few years. Starting out for 2018, we caught up with Sofia Hills, a model, a creative and a fitness influencer. We spoke about her career and how she came to grow a following on social, she also had some insight into what it's like to be an influencer when working with brands. Check out the interview below! Well, everything started in Australia in 2013. Fitness is one of my passions, and at that time I decided to enter the Australian Oxygen Magazine Competition (women’s fitness magazine), that was based on online voting. That was the beginning of my social media presence, that resulted to winning the competition based on votes. My social media account is mainly a reflection of my lifestyle. What social channel have you grown your following on? My main handle is my Instagram profile @sofiahills, however I have in the plans developing 2 more IG accounts: 1 for my modelling work and 1 for my fitness workouts. I keep my followers updated as often I can. Usually, it’s pretty much on a daily basis. What are your ambitions with your social channels? Where do you want to take it? In my plans is increasing my existing following and expanding my social media presence on other handles too. If you could work with any brand in the world, who would you choose and why? That’s a tough one, because I have quite a few brands on my mind. One of my ambitions is to get networked with high end fashion brands that empower women to reach their true potential. Who’s an influencer you admire most and why? I wouldn’t say that I have a particular person that I admire. I get daily inspiration from many influencers I interact with. Perhaps those who are self-made, or share a story of believing in their own vision align more with my journey. How do you think the influencer marketing industry will change in the next year? Things in this industry are changing rapidly. I feel that within the next year influencers’ content will be mainly video based. What relationship do you have with your followers? How do you engage with them? I feel that I know my followers quite well, perhaps because there is consistency in the way they engage. In regards to how do we interact, I share some personal thoughts on my blog, and open dialog on my daily posts, Insta stories and lives. How would you say you’re different to other influencers in your space? What do you look for that others don’t? I’ve never done such comparison simply because I believe all creative people out there have something unique to offer. If something makes me stand out, is perhaps my personality, skills, story and vision. I really enjoy the volume of ideas and information coming just simply through networking. I also really enjoy the power and freedom social media give to each of us without relying to traditional media. Nowadays everyone has an opportunity to create their vision. What do you enjoy least about social media? Perhaps the addiction of it. Is there something you wish brands knew about influencers? Yes! That creating content takes a lot of time, resources and planning. I feel that being paid based on engagement, is really half the story. How about all the work it requires producing the content? And how about all the time spent on keeping the social media up to speed? What’s the toughest thing about running One of the toughest things is that a digital your own social media? What’s the best? One of the toughest things is that a digital influencer is multitasking in a lot of different levels: PR, networking, engagement, content production, resources…it’s a 24/7 commitment. The best is that is a huge growth and expansion experience. It requires commitment, dedication, patience, constantly learning new skills. Can you give any advice to people looking to start their own Instagram, YouTube etc? I came down to one simple truth: There is no “success recipe” other than just being yourself. People relate to influencers because of their personality and talents. In this vlog today, Isaac (one of our Videographers) headed half way across the world, to Toronto, Canada for 48 hours. He had a special package to deliver to one of the biggest tech influencers, for a product launch we have happening in a couple of weeks. This is the story of the first day, the journey from picking up the package in London to flying to Toronto and experiencing his first night in the city! Let's see what he get's up to in Toronto! Today we headed down to a UK Shooters Meeting in Central London. UK Shooters is a community of photographers, influencers and rookies headed up by Mike Will. UK Shooters organised a meet up on a Sunday afternoon in London and the turnout was insane. We went along to see what it was all about! There was loads of different models, five different locations, smoke bombs and a lot of fun. From photographers attending for their first time, to rookies looking to build their confidence with a camera, to people turning up for the community and social side. The meet up had it all and the community is growing. We are still in Berlin with fashion influencer Mariana Di Vaio, and are extremely busy with various exciting ventures. We are running a notebook product launch and are on the set of a photoshoot with Mariana Di Vaio, watching on as the campaign comes to life. It’s all very eventful and tiring, but after the long hard day comes to end we can’t help but make the most of where we are staying and explore the beautiful city. Come with us on this exciting trip, exploring not only the business adventures but the adventures we find ourselves exploring once the work day has drawn to a close. You will be getting an exclusive insight of what we get up to whilst all the action unfolds around us, whilst getting to know the team involved in Socially Powerful. We hope you enjoy the vlogs and don’t forget to LIKE, COMMENT AND SUBSCRIBE! It all helps. We are a full service social marketing agency, that focuses on attention on social media. Where are people spending their time? Why? What's the most effective way to communicate with them? We help brands answer these questions. We’re off to Berlin, Germany to work with one of our clients for an upcoming product launch with two global influencers. Fashion influencer Mariano Di Vaio and technology influencer TechnoBuffalo are in attendance with our team of Cyrille, Majid and Ben. It’s an exciting, but very stressful time for all involved to ensure the campaign runs smoothly. Today is the first of four days, with the team travelling out to Berlin and meeting with Mariano and TechnoBuffalo, to brief them on the campaign, the timings and the expectations. You’ll be getting access to see what we get up to on the ground, in the midst of all the action and get to know more of the people involved in Socially Powerful. We hope you enjoy the vlogs and don’t forget to LIKE, COMMENT AND SUBSCRIBE! It all helps. It’s office move day, after months of waiting for the building to be finished, we’ve finally got the keys and are moving in. It’s the beginning of a new chapter and the start of something fresh. Now that we’re moved in, be prepared for more vlogs and more of our employees appearing in future vlogs from here on out. We will be sharing more of our vision on the industry, more of our work and more of what we get up to away from the office. Exciting times for all involved! In today’s vlog, we’re moving office. We’re packing up our base, which we’ve been in since we started the company almost one year ago. We’re expanding the company and moving the office to Farringdon, it was just impractical to stay where we are now. We started out in this place, we’ve grown, learnt and experienced a hell of a lot since the first time we moved in. We have many memories, all the late nights, the working weekends and the projects we have won and lost in this place. It’s a great time for reflection and seeing where we’ve come from and how far we still have to go! Let’s see where we are this time next year. We’re excited to continue to share the journey at all levels, the good, the bad and the ugly. At the same time, Socially Powerful are in the middle of a lot of major projects and recruiting for new employees. As a start-up business, we need to be smart with where we invest our money and who we invest our money in. With no investment or venture capitalist backing, every penny counts and we need to deploy it in the most effective way possible. Arriving in Bangkok you really feel the pace of the city, the vibe of the people and the culture of the communities in the city, which changes from day to night. In today’s vlog, we decided to take the focus away from business and entrepreneurship, we wanted to show our personalities and who we are as people. Whilst we’re still going to be vlogging our trips and business work, we’re also going to start sharing what we get up to as a company outside of the office. First stop, we decided to head to the Drone World Championship at Alexandra Palace in London. We use drones a lot in all our productions, whether it be our vlogs or branded content. We wanted to experience something we’d never been to and had no preconceptions of and what we experienced, was something like we’d never experienced before. It genuinely was incredible, the people, the atmosphere and the skill of the guys flying the drones was insane. The market for this concept is huge, the only thing like it is Formula One – if it can get to that stage, then wow. Not to spoil the results of the competition or any of the races, we’ve blurred out and bleeped out us talking about it. If you’re interested, they are playing the legs of the Championships on TV from next week. Working with people you love is one of the most important factors when starting a business. These are people you’ll spend most of your time with, so why would you want to surround yourself with and build a business with people you don’t get on with and don’t like?! Don’t think about the money and the rewards, think about your life and doing what makes you happy. If you start a business just for the money, you’re in the wrong game and you’ll fail. We aso talk about selling and marketing on social media being the most effective channel to get products in front of audiences at the right time, in the right market and in the right way. It’s the final part of the vlogs with Julius Dein and he’s about to pull the most epic prank on his grandma. We take you behind the scenes of the final preparation, the prank itself and then meeting his grandma who we have a really interesting chat with. We take you through the day, with our behind the scenes vlog of what goes on! If you haven’t checked out any of Julius’ content, make sure you do, he’s recently been ranked as one of the top Instagram Accounts globally leading their industry and has over 8.5 million fans on Facebook. Our trip and travelling around the world ENDS TODAY! The final hurdle, it all comes down to this and the big push for the product launch in Barcelona with all the influencers in attendance. Xenia Tchoumitcheva, Mariano Di Vaio, Toni Mahfud, Unbox Therapy are all involved in this global launch for our client, with a lot of time pressure and last minute changes, we manage to pull it off. After a huge trip around the world, there has been a lot to learn, understand and so much experience that we gained. We're now on the way back to London, to get stuck in back in the office, ready for the big move and all of the other campaigns we are working on. Just two guys, travelling around the world, chasing the dream - WHAT A TRIP! We're excited to show more of what we get up to on a daily and weekly basis, let the journey continue as we take things to the next level and introduce YouTube to more of the Socially Powerful Team. As Tass and Nick’s epic three week worldwide journey draws to a close, their biggest challenge is still ahead. This is the day of the product launch event in Barcelona with the influencers and anything can happen. The influencers need to be briefed on their activities for the day and all the while the client is still waiting for the Unbox Therapy’s video to review before it’s immediate release. With difficult time constraints and a continually changing schedule, the pair must persevere in order to complete the job. Afraid of failure? Fear of failing? Failure is a part of success and overcoming it is tough, but don't be afraid to FAIL! People are crippled by failure and overthinking; they won’t follow their dreams in fear of failure. People are scared, they are afraid of failing in front of their friends or family and not succeeding. There is a huge misconception about failure, it's part of life and you can always come back from it. In modern society, other people love to see you fail, it's a fact. Once you start doing something, you have something to share and something other minds can get involved with, share their opinion and collaborate. Whatever it is you’re thinking of doing it, just do it. Once you start doing, things start happening, don’t overthink, just do and don’t be afraid to fail. We arrive in Toronto and meet some old friends, over dinner we discuss the aspect of failure. Enjoy the vlog, we're excited to continue to share our journey with you.